Dieffenbachia Poisoning is the accidental or intentional intake of the plant or plant product containing the compound. What are the Causes of Dieffenbachia Poisoning? What are the Signs and Symptoms of Dieffenbachia Poisoning? How is First Aid administered for Dieffenbachia Poisoning? Who should administer First Aid for Dieffenbachia Poisoning? 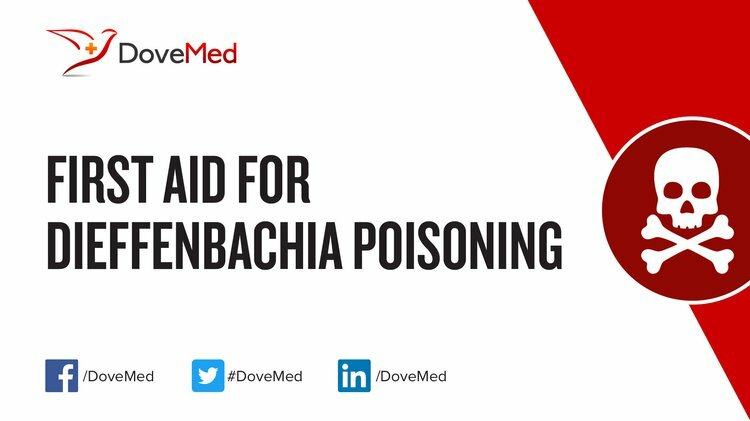 First aid for Dieffenbachia Poisoning is administered by healthcare professionals. What is the Prognosis of Dieffenbachia Poisoning? How can Dieffenbachia Poisoning be Prevented? Adhikari, K. M. (2012). Poisoning due to accidental ingestion of Dieffenbachia plant (Dumb cane). Dip, E. C., Pereira, N. A., & Melo, P. A. (2011). Tongue angioedema in vivo: Antagonist response of anti-inflammatory drugs. Clinical Toxicology, 49(3), 153-160. Ferreiro, D., Orozco, J. P., Mirón, C., Real, T., Hernández-Moreno, D., Soler, F., & Pérez-López, M. (2010). Chinaberry tree (Melia azedarach) poisoning in dog: a case report. Topics in companion animal medicine, 25(1), 64-67. Berny, P., Caloni, F., Croubels, S., Sachana, M., Vandenbroucke, V., Davanzo, F., & Guitart, R. (2010). Animal poisoning in Europe. Part 2: companion animals. The Veterinary Journal, 183(3), 255-259. Mocking, R. J., Schene, K. M., & Maingay-Visser, D. A. (2015). Dieffenbachia poisoning in an infant. Nederlands tijdschrift voor geneeskunde, 160, A9750-A9750. Altin, G., Sanli, A., Erdogan, B. A., Paksoy, M., Aydin, S., & Altintoprak, N. (2013). Severe Destruction of the Upper Respiratory Structures After Brief Exposure to a Dieffenbachia Plant. Journal of Craniofacial Surgery, 24(3), e245-e247. WALTER, W., & KHANNA, P. Dieffenbachia seguine, amoena and picta'. Aigbokhan, E. I., & Agbontaen, O. O. Dieffenbachia seguine (Jacq.) Schott (Araceae)–a potential invasive threat to rainforest ecosystems in Nigeria. Plenert, B., Prasa, D., Hentschel, H., & Deters, M. (2012). Plant exposures reported to the Poisons Information Centre Erfurt from 2001–2010. Planta medica, 78(05), 401-408.